I haven’t written a blog in almost a year. Well, I mean, technically I haven’t sat down and typed words onto the computer screen to be published for you lovelies. If there are any of you lovelies still out there. I have been in a busier season that ever before. Which, I would have committed murder for, just a few short years ago. I will spare you the excuses as to why I haven’t carved out time to sit down and type all of the words. You’re welcome. But, I will say that God has still been speaking to me, without fail, every single time I will stop long enough to listen. That, I am beyond thankful for. Our conversations usually are centered around me taking in His beauty around me, serving whatever injustice in our community I am faced with that day, how to improve my marriage, how to deal with a strong-willed child for.the.love. and so on and so forth. He speaks. I listen. But, I haven’t taken the time to type. Until today. Recently I was at my super-favortite grocery store, Aldi. Y’all. I love me some Aldi. Now, don’t get me wrong, if the hubs were to spontaneously get a raise he works in the public school system, so I’m not holding my breath then I would perhaps drop Aldi like a bad habit for his organic cousin, Sprouts. But, for now, Aldi and I are besties. Why you ask? Simple. They provide quality food (including the gluten-free stuff I need!) at a ridiculously good price. I kid you not when I tell you that me and Mr. Budget save $100 per month thanks to our new pal, Aldi. You do have to get over a few things – like they have mostly their own brand of stuff. 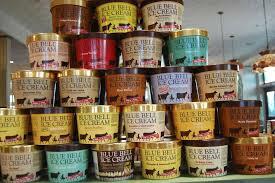 The labels are all brilliantly marketed to be the same colors and fonts of major national brands – they just aint. You also have to bag your own groceries, (gasp.) they don’t carry everything you may need all the time…and you have to rent a grocery cart. What!?! Rent a grocery cart? Who do these people think they are? Brilliant, that’s who. This, friend, is where God spoke to me. 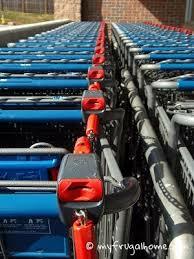 You see, in order to save money on having to pay tons of employees, including a teenager to go round up all the grocery carts that people can’t seem to return to their rightful place, Aldi has created an interlocking system to connect their grocery carts. There is a slot to insert a quarter into the cart’s handle, much like you would have done to play Galaga circa 1984. Once you insert said quarter, the lock pops off and you can release your cart to go blissfully overflow it with inexpensive grocery staple goods. So, you better believe there are no rogue carts scattered around Aldi’s parking lot because I’ll be darned if people want to get their quarter back! It’s just a quarter, y’all. You can’t even buy half a pack of gum with a quarter anymore. But, the system is brilliant. Aldi wins by saving money. I win by saving money. That, by sheer definition, is a win-win. So, from that day on, I haven’t ever taken my quarter back. Oh wow, Caroline, what an amazing servant you are, thanks for sharing. No, friend, not the point. Again, it’s a quarter. I think I’m roughly out about $9.75 at this point. I’ll be fine. Here’s the point – I have found myself stuck sometimes because I can’t write the big check to support a worthy cause. I can’t donate my car for a kid. I don’t have an extra few hundred bucks to sponsor not just the one, but twenty kids in the orphanage in Uganda our church supports. But, God reaffirmed to me what he already taught each of us in Mark 12:41-44. Jesus was watching the wealthy give and give tons of money, none of which they’d even miss. It didn’t even affect them. It didn’t hurt. But, this precious woman was giving all she had. Even when we can’t seem to give in a big way – we can give a little in many ways – and God will bless it, still. Now, friend, don’t be disillusioned that my family is in the same dire financial need as the poor widow. Notsomuch. We are a solid middle-class family living in a solid upper-class community. We may “feel” poor sometimes. But, we aren’t poor. But, the truth is, we can’t give ‘big’ like we wish we could. So often, that stops us dead in our tracks right there. We can’t afford to adopt a child. Ok, but can you be a foster parent? I can’t afford to serve every week at church. Ok, can you serve once a month? We can’t afford $2,500 to go on a mission trip! Ok, well can you afford to give $30 a month to pay for a child’s entire schooling? I can’t afford to give away every Wednesday morning for Bible study. Ok, well can you meet one Wednesday morning a month with other ladies who are in your same season of life? We can’t afford to write a huge check to help this worthy cause. Ok, well can you consistently pray for their ministry? That’s the thing, friend. We get so disillusioned by what we can’t do, we don’t focus on what we can do. We can give one quarter every week to a different person, most of whom we will never meet. And God will bless it. Because, my friend, to us, it’s just a quarter. But, to God, it is so. much. more. 💜💙💚❤️💛 Have missed you! Love this perspective! I’ve been on both sides of the quarter at Aldi and know what a relief & blessing it is to recieve it when you need it! Love this and love you! Welcome back! Thanks sweet friend!! Good to be back!